TSkuta Alfred Mtsi is the Speaker of Council. He started getting involved in politics in 1976. It was during the 1976 uprising that I became interestred in politics, during this time there were a number of political activities with riots at schools and the resistance on being taught in Afrikaans," said Mtsi. He schooled Hebron Priamry School, Mzimkhulu Higher Primary and Gcisa Commercial High School which is now known as Khulani Commercial School. 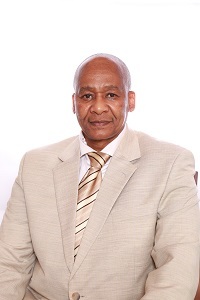 He holds Masters in Public Administration at University of Fort Hare, a Certificate in Governance and Leadership at UNISA, an Advanced Certificate in Public Administration and Management at UFH and a Certificate in Advanced Governance and Public Leadership at University of Witwatersrand. After schooling he worked at Mercedes Benz of SA in 1983. In 1989 he was a shop steward of Numsa while in 1991 he was the Chairperson of COSATU in East London. In 1992 -93 he was the Chairperson of COSATU in the Border Region. In 2000, Mtsi became the Ex-Officio member of the African National Congress (ANC) in the Amathole Region and in 2013 was the Provincial Executive Committe member. He has also served as the Executive Mayor of Buffalo City Metro and now holds the position of Council Speaker.